We’re guessing that systems and processes aren’t words that are on the tip of your tongue when it comes to factors for telemarketing success. However, you can have a great proposition and great people making the calls for you but, if your method of managing the calling process is all over the place, it’s likely that you’ll miss all manner of opportunities. Businesses that want to grow, and that are serious about doing so, should use a proper CRM system. If cold-calling is a key part of the sales process, your system needs built-in telemarketing workflow. That means a system that’s configured so as to make it quick and easy for your callers. They need to be able to find pertinent information swiftly and have what they need at their fingertips. Whilst Excel might seem okay at the outset, it will become increasingly difficult to manage call-backs over time when the spreadsheet becomes unwieldy and it becomes harder to manipulate. It will become increasingly time-consuming to locate and check past notes, especially where there may be lots of different conversations. Your callers need fast access to information before making each call. And, anyone new to the calling activity will find it hard to discover the key information and have it at a glance for their call. Some marketing systems may be absolutely fine for traditional direct mail or email marketing and for individuals to use to record and store contact information. However, many systems are less well-adapted to an ongoing calling cycle. Good telemarketing relies on productivity. Telemarketers need to be making in the region of 100-150 calls per working day. We’ve come across organizations where callers only manage 40-50 dials on average, not least due to the deficiencies of the method they’re using. Simply put, if your system slows you down to that level, that’s 50% + less effective. What’s more, when it comes to important call-backs, you just cannot afford to miss them. It can also be onerous to drive useful reporting and analysis out of an Excel spreadsheet compared to pre-set reports and KPIs that come from a proper CRM system. 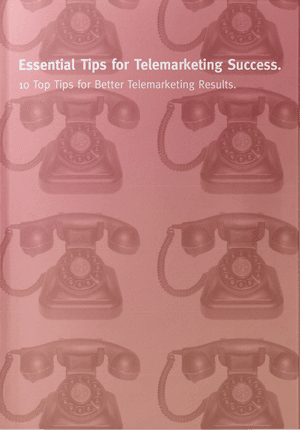 Measurement is vital when it comes to telemarketing success. A good system should, therefore, provide you basic analysis out of the box and, more robust reporting if it’s configured to drive measurement based on the calling activity. Segmentation and analysis can significantly enhance the chances of success of a campaign. For example, that means being quickly able to evaluate the performance of your data. It could be to segment and profile key segments to establish which performs best and where to focus more or less attention. It also means ensuring that fields are appropriate and available for the callers to complete after each call. These might be a series of tick boxes or drop-down fields that allow you to do a deep dive into what’s happening during a campaign. Without relevant systems and processes, your telemarketing campaign is unlikely to succeed and your telemarketers will become disillusioned when they are prevented from being as effective as they’d like. Momentum in calling is fundamental and systems have the ability to enhance or impede that. Therefore, if telemarketing is an important part of your outbound sales strategy, you should invest in a robust CRM system or use an agency like GSA that’s geared up for productive calling.